BDS activist Anna Baltzer celebrates her own baby as she speaks for terrorists she considers “noble”- like those who murdered a Jewish woman and her babies. The writer heads Stop the ISM. He is an investigative journalist and contributor to Front Page Magazine, senior intelligence analyst and communications director for the Northeast Intelligence Network, and also heads Defending America for Knowledge and Action (DAFKA). 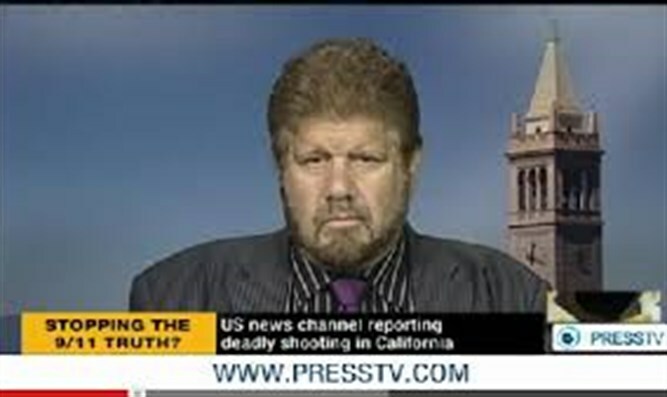 He appears frequently in the US media. Her real name is Anna Piller, but she used the alias of Anna Baltzer while her Jewish grandmother was alive so her Jewish grandma, a supporter of Israel who survived Nazi-occupied Europe, wouldn’t know what her granddaughter was doing. Anna wrote that although she was born to a Jewish mother, she wasn’t raised in the religion and knew nothing about it. This didn’t stop her from taping videos, such as one during attempts to divest UC San Diego from Israel, where she told viewers that as an “American Jewish woman” of conscience she urged students to attack the Jewish state by starving the Jews out of the Middle East. The Arabs found in Anna Piller a “Jew” who could claim she was opposed to the existence of a Jewish state and hopefully convince college students worldwide that even if they are Jewish, they should favor Israel’s demise. As such, she tours all over the world with a seminar calling for support for terrorists and boycotting the Jews. She has “lectured” at over 500 venues including law schools and even Oxford University in the UK. Her presentations are usually lies about Israeli atrocities against innocent Arabs with a final message asking listeneners to "understand" the violence the Arab terrorists do. She lied about her background, falsely claiming she is a Fullbright scholar (a PhD candidate) when all she got was some money from Fullbright to be an assistant English teacher in Turkey. She also regaled audiences with a totally made-up tale of a pregnant Palestinian woman who aborted two fetuses at a checkpoint because Israeli soldiers wouldn’t let her pass to go to the hospital (the woman’s name and identity changed, at one point being a fellow ISM activist named Lamis Deek). Those who attend her presentation do not know that there are hospitals in Ramallah accessible from Der Balut and the PA and why she would even need to go to an Israeli hospital isn’t asked or answered. Her activities have netted her a sinecure as the head of the NGO, The US Campaign to End the Israeli Occupation (this is the renamed - for lobbying purposes - ISM in Washington D.C.) and on the Board of Directors of the former neo-Nazi and anti-Semitic NGO, The Council for the National Interest, founded by virulently anti-Semitic Paul Findley and James Aborezek. Anna recently gave birth to a child and is off until mid-April for maternity leave from her job of smearing Israel and promoting boycotts and divestment from the Jewish state. Her baby girl, Eleanor, was also given an Arab name, Noura. Most Jewish women give their newborns Jewish names, but not the “American Jewish woman with a conscience” Anna Baltzer who wants to bring down the Jewish state. Anna published a photo of her newborn with a Palestine flag t-shirt on, sort of reminiscent of Rosemary’s Baby. When you think of the photo of Anna with Eleanor in the hospital, think of Ruth Fogel, another Jewish woman who was about Anna’s age from the community of Itamar in Judea and Samaria. Ruth was a proud mother too, but some Arabs from Al Aksa Martyrs Brigade that Anna so admires broke into her home and butchered her and her three children and husband. They also slashed the throat of Ruth’s infant daughter, Hadas. Hadas was an afterthought, the killers at first overlooking her when they killed the family, one of them going back afterward and calmly slitting the infant’s throat. They were trying to bring down Zionism (the Jews), what Anna called for in Canada. Anna never condemned the murders. In fact, at the end of each of her lectures at law schools and churches she ends by asking “If someone came uninvited into your house and they wouldn’t leave, wouldn’t you pick up a lamp or something and attack them?” The Arab killers who killed Ruth Fogel and Hadas were doing exactly what Anna condones as she praises the Al Aksa Martyrs Brigade. Think of the two Al Aksa Martyrs Brigade terrorists who murdered the Fogel family and slashed the throat of the Fogel’s infant daughter. Remember the Palestinian TV show praising the two killers for their “noble” act just like Anna Baltzer does. There is a list at the link below of the over 500 venues where she has spoken. She will no doubt repeat her lectures at many of them. The SJP venues and mosques will not care if she tells the truth or not. However, the colleges and law schools venues need to read this article and the others where she has been exposed so she won’t be invited back.